Now known as Dartmouth Steam Railway and Riverboat Company offers combined steam railway, river and sea adventures for days out in Devon. Steam trains travel seven miles along the most spectacular South Devon coast down into the Dart Valley, a designated area of outstanding beauty; with stations at Goodrington Sands, Churston and the beautiful village of Kingswear which sits proudly opposite the pretty Port of Dartmouth. 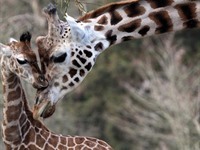 Paignton Zoo is one of the UK's top zoos and a great day out. In the 10 years after becoming an environmental park, Paignton Zoo was transformed, becoming a zoo for the 21st century. The Ape Centre, Education Centre, Avian Breeding Centre, Reptile Tropics, Animal Encounters Theatre, Veterinary Centre, Reptile Nursery and Monkey Heights were all opened. There are so many different ways to travel to Greenway, from ferry to steam train, by car or by foot; they all make an exciting part of your day out. It's important to note that parking spaces must be pre-booked online or by calling 01803 842382. 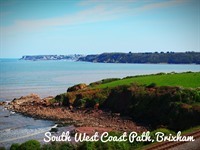 We are located less than five minutes walk from the south west coastal path, which runs along our superb coastline? We welcome any enquires from walking groups. 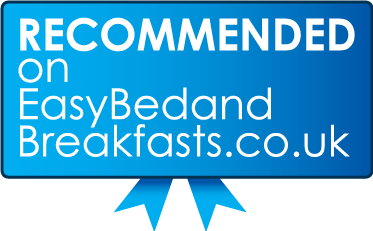 Breakfast and Evening meal package can be arranged if required. Dartmoor National park is made up of 368 square miles of Wild, open moorlands and deep river valleys, with a rich history and rare wildlife. 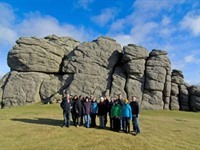 There are three visitor centres a short drive away, at Haytor rocks, Princetown and Postbridge all of which have toilets are car park facilities. 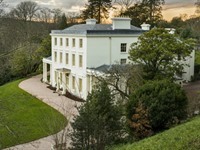 Around 3,700 gardens open each year for the National Garden Scheme. 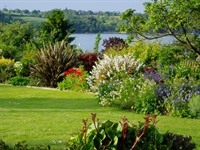 Come and visit some of the amazing gardens near us in Devon. 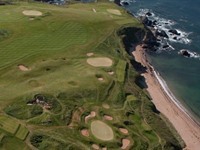 THURLESTONE GOLF CLUB and CHURSTON GOLF COURSE are a must visit in our area. With sensational weather and temperatures to rival those registered-on thermometers in some Continental parts, Devon really is a place that is a must-visit region for anyone who calls himself or herself a golf fanatic. 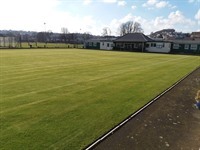 Less than two hundred yards from our door, we extend a warm welcome to touring bowls clubs, so if you are thinking of touring Torbay then the Paignton Torbay Bowling Club is an ideal venue for a match. They provide seven rinks, a bar, catering and Wi Fi facilities all at very competitive prices. 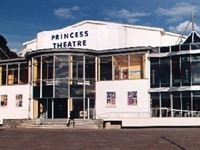 The Princess Theatre makes a great night out, and has a café-bar that is open throughout the day and into the evening on performance nights, and serves everything from a warming coffee and cake on a cold winter’s morning to a full three course meal and a cool glass of wine before a show. A wide variety of shows from live music, comedians, and West End musicals, as well as productions by local amateur theatre companies. 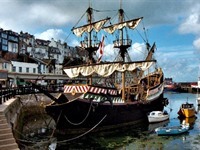 This floating full size replica of Sir Francis Drake's famous ship 'The Golden Hind' is based in Brixham harbour and offers a unique insight into life on board a 16th century sailing ship. 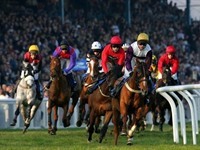 Set right in the heart of Devon’s stunning countryside, Newton Abbot Racecourse is home to some of the UK’s best summer jump racing. The season runs between March and September but there are plenty of other events throughout the year such as antique fairs, exhibitions and car boot sales.